The Galapagos Islands off the coast of Ecuador are the kind of place you are thrilled to get to visit once in your life, like we were, over Christmas and New Year of 2013/14. Visiting once means you want to get it right in terms of what you take with you, the kind of trip you do, and what to expect when you arrive. 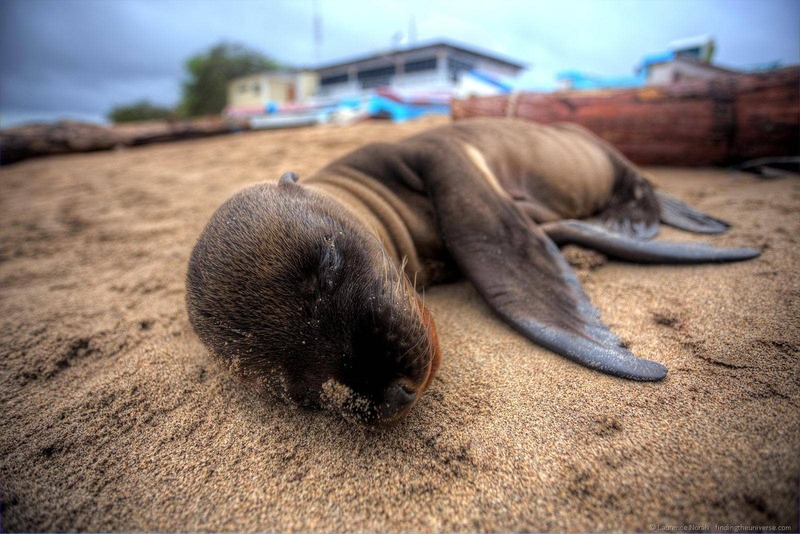 Planning a Galapagos trip properly is key to having an amazing time. So this post is a little cheat-sheet to help you prepare for your trip, based on our experiences, which will ensure you get the most out of your adventure, covering everything from picking a tour through to getting around, food, and other practicalities. Our experiences are from a ten day adventure tour with GalaKiwi, which included hiking, biking, snorkelling and kayaking – after which we tacked on a couple of weeks of time to the end of the tour where we largely planned our own activities and travelled the Galapagos independently. I chatted with the guys who run the 10-day GalaKiwi tour that we did, and also spoke with other folks on our trip, and the one thing that really came out in terms of enjoying a Galapagos trip was to do the pre-trip research and know what to expect. 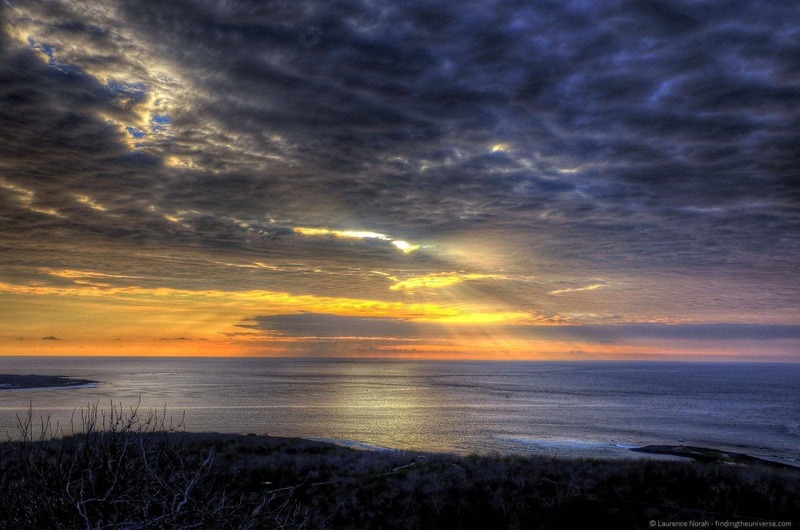 The Galapagos is a wilderness and wildlife destination with accommodation to match. The prices are generally higher because of the remoteness and uniqueness of the islands, not because they offer five star pampered luxury. On the islands most of the hotels are comfortable, with air conditioning, clean rooms and hot showers. They’re places to get some sleep and wind down after a day of adventuring. There are some more upmarket places with pools and the like but this is the exception rather than the norm – and if that’s what you’re after, make sure you book on a tour which features five star accommodation. Beyond accommodation, it’s really important to know what to expect from the tour that you book (a tour is by far the best way to see the islands, letting you get the most out of your trip with the minimum of hassle). Our 10 day adventure tour with GalaKiwi for example had a detailed itinerary on the GalaKiwi website, so we knew exactly what to expect on a day by day basis. Expectations in terms of lodging and food were also laid out on the site, and we were even sent a packing list. Pretty thorough stuff, and something you should expect from any decent operator. Naturally an adventure tour involving volcano hiking, mountain biking and kayaking isn’t going to be for everyone, but there will no doubt be a tour and company that will exactly meet your needs and interests – just make sure you pick carefully and know what you’re signing up for to avoid disappointment! The Galapagos is hot (apart from in the highlands where it can be quite cool), so staying hydrated is essential. See our guide to dealing with dehydration for more information on that subject. The water in the taps isn’t drinkable, so you’ll need to drink bottled water. Our GalaKiwi trip offered unlimited drinking water from large water containers – as did all the hotels we stayed in. 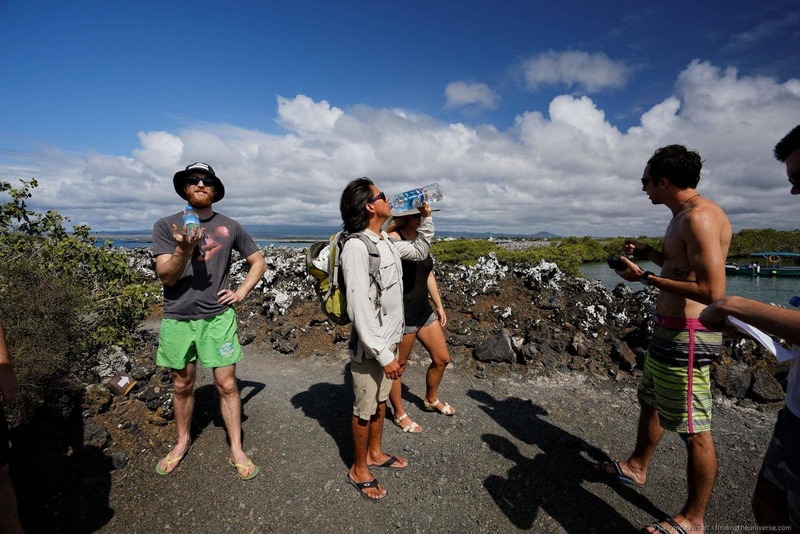 We recommend you take re-usable water bottles with you to minimise waste on the islands. If you’re more serious about your water packaging, then a hydration system such as those from Camelbak may be the way to go. I find them essential for hands-free water consumption without needing to think about it! As with the rest of Ecuador, the currency in the Galapagos is the United States Dollar. ATMs are available on San Cristobal and Santa Cruz, and usually accept all major foreign card types including Visa and Mastercard. ATM’s in Ecuador can be a bit picky in terms of giving you money though, so if you have any problems, you might need to go into a bank branch with your passport, and withdraw money with a teller. Check with your bank before heading out what the fees are for withdrawing via an ATM or a teller to avoid bill shock when you get home. Finally, everything in the Galapagos costs a bit more than the mainland, with beer running around $3 – $4, and meals in the region of $7 and up. If you shop around though, you can usually find daily lunch specials (Almuerzos) from small, local spots, which will usually be a soup and a main dish. These will normally be meat or fish based. Tipping in Ecuador isn’t mandatory, although it’s always appreciated. Sometimes it will be automatically added to the bill at 22% – 12% of this is tax, with 10% being the tip. If it’s not added to the bill, then tipping in the region of a dollar per person at your table will do – depending on the meal this will usually work out to 10%. For tours – on a day tour you should probably tip in the region of 10-15 dollars. On our GalaKiwi trip, all tips were taken care of apart from for the tour leader, for whom a tip of up to 10% would be reasonable. One thing that I think surprised most of the folks I know when I told them about my trip to the Galapagos with GalaKiwi was that it wasn’t a boat based trip – we did the whole thing staying in hotels on the four islands we visited, just using a boat to get between them and for snorkelling excursions. 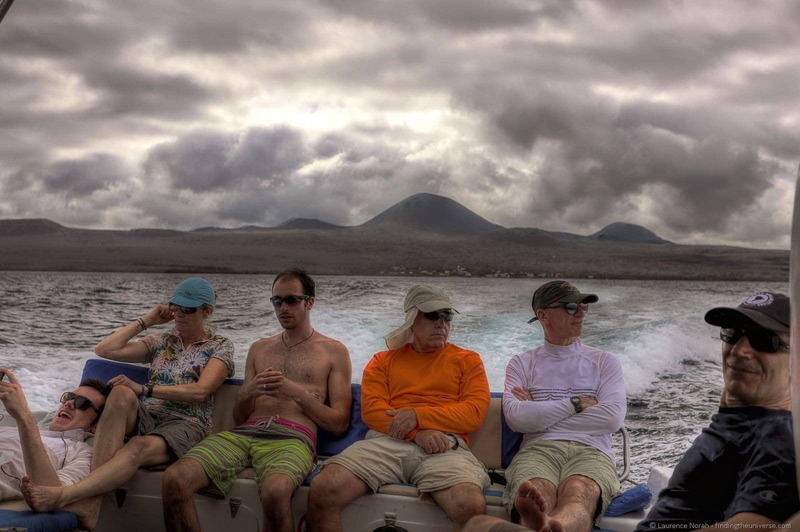 Four of the islands in the Galapagos are inhabited, and if you are particularly adverse to boats, you can even charter private planes between three of them for fairly reasonable prices. 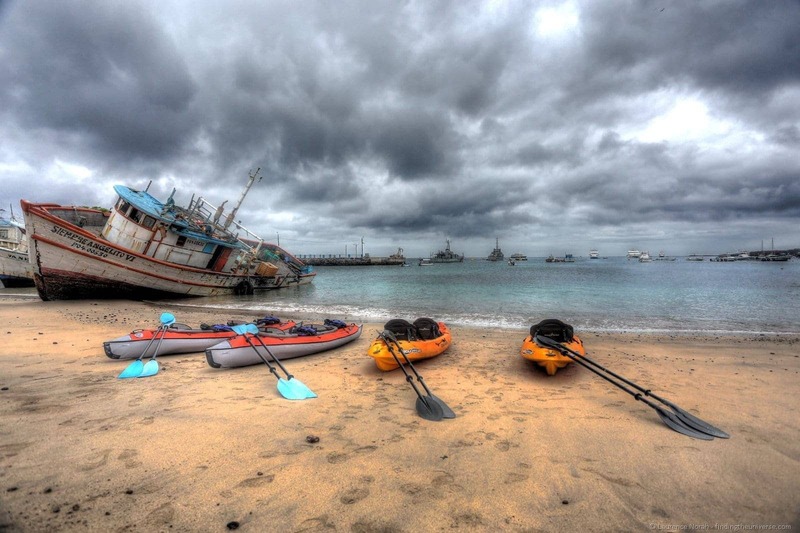 Boats are tough to avoid though – particularly if you want to go snorkelling or diving, to visit the uninhabited islands, or to get between the major islands (around $30 per person one way, trips vary from 2- 4 hours depending on distance and weather). Go to the loo before you board – whilst most boats have a loo on board, if the seas are choppy then you will be trying to “go” into a target which has a desire to regurgitate everything from previous occupants all over you. Yes, in the name of research I had a face full of what I hoped was “only” wee. No, it wasn’t fun. Go before you board, and then try and hold it in if you can – or only go if it’s calm weather! Sit near the back for a smoother ride – the further to the back of the boat you sit, the less bumpy the ride will be if the sea is choppy. 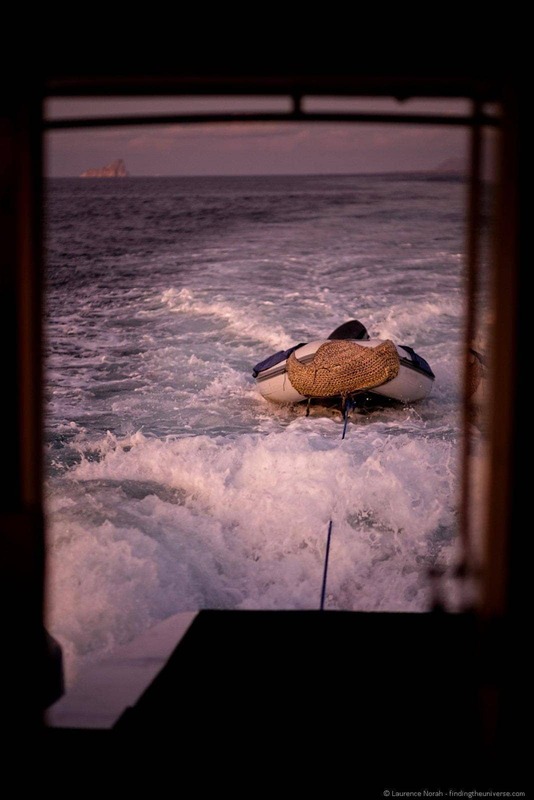 The front of the boat will crash over the waves, meaning that the further forward you are, the more up and down you go. You are likely to get much wetter at the back though. You can’t have everything! Prepare for sea-sickness – If you get motion sick, then take the necessary precautions. Pop those pills, wear those wristbands, apply the patches, take a plastic bag just in case. I generally find that just staring at the horizon and avoiding activities like reading is the best option for staving off motion sickness. You’ll also want to avoid heavy drinking the night before – being out on a boat with a hangover is a sure-fire recipe for turning green! On the inhabited islands themselves, getting around is easy, either walking (distances aren’t very far), hire a bike, or grab a taxi to reach further away destinations. 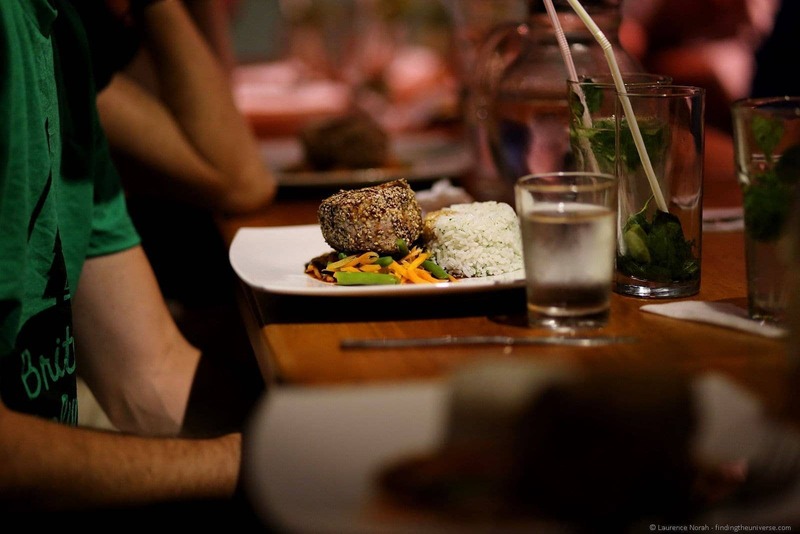 The Galapagos is a popular destination, which means that on the three larger inhabited islands, you generally have a decent choice of places to eat, from more traditional Ecuadorean cuisine (sea food features heavily!) through to Western style food including pizzas and burgers. If you’re a vegetarian then it would be wise to learn the appropriate words so you can express what you will and won’t eat. If you’re vegan, or have other dietary requirements, make sure the restaurant / tour operator is well aware of this, and maybe get it clearly translated into Spanish and written down so you can make yourself understood if you don’t speak Spanish. Drinks are widely available from bars and shops, including beers and cocktails, as well as a variety of milkshakes (batidos) and juice based drinks (jugos). We drank these all around Ecuador and the Galapagos and had no stomach problems – your mileage may vary. Generally in countries where the tap water is not safe to drink, it is recommended to avoid any food items that may have been washed in the water, such as salad or unpeeled fruit, as well as the ice in drinks as you don’t know what it was made from. Again – we were fine, but it’s a risk you have to decide to take for yourself! 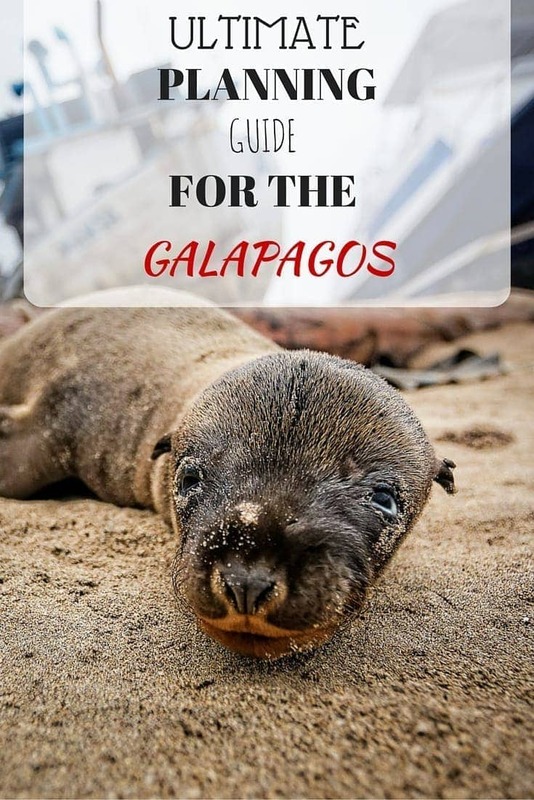 And that’s everything you need to know to help you plan the perfect Galapagos trip! 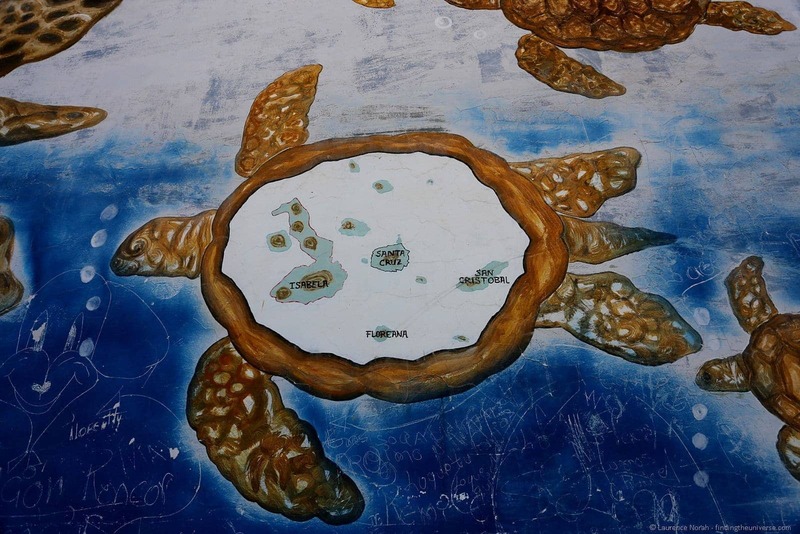 Have you visited the Galapagos islands – or are they on your bucket list? Let us know your thoughts and feedback in the comments below! Its me ALI who asked you a question about converting canon cr2 to png files, on which you helped me out. 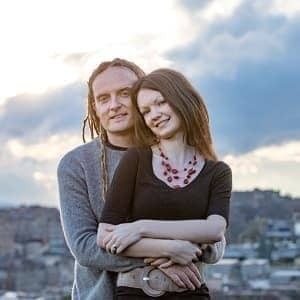 I was curious of your home page, as i love to photography and love traveling. We were in south America in the first half of the year and many other places. You have a great homepage and you help out people. Great Intention and work for sure!